The subtropical coast around Rockhampton is made up of a series of small, unique seaside villages that surround the bustling city. 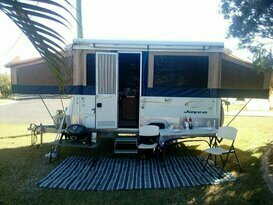 Rocky is a great place to base your QLD camping adventures from, as there are a number of fantastic family holiday parks both on the coast and throughout the region’s rural area. 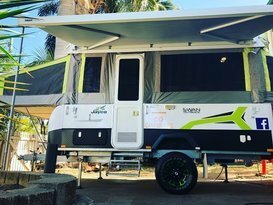 Join Camplify, Australia’s largest RV sharing community and connect with local owners to find a caravan, campervan, motorhome or camper trailer to suit your holiday style. 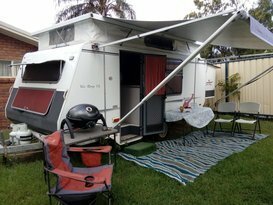 For rugged bush camping, hire a trailer and trek through Byfield National Park, or for a breezy beach road trip, squeeze in a cosy campervan and sleep by the seaside in Emu Park, Yeppoon or 1770. 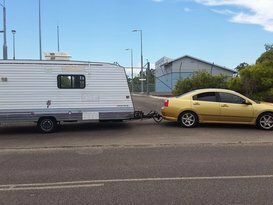 If you’ve got a family to entertain, have a caravan or motorhome dropped off at one of the many holiday parks in the Gemfields, Fitzroy River and Lake Maraboon areas. 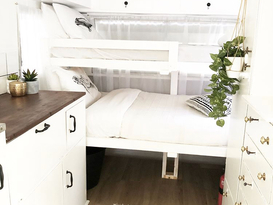 Try your luck and go fossicking in the Gemfields, or camp overnight at the pretty Glebe Weir, near Banana. High up in the Blackdown Tableland National park, you’ll find scenic lookouts and trails with rock faces display traditional Ghungalu Aboriginal artwork. 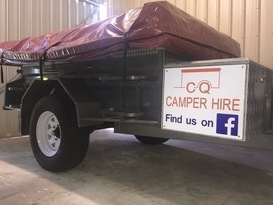 Here's some of our featured vans for Rockhampton & The Capricorn Coast. We have many more! Head over to our Search page to find the perfect caravan or motorhome for your holiday.